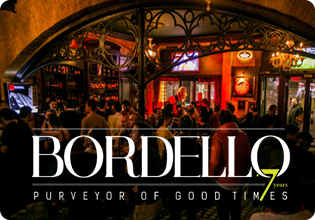 Over the past 7 years Bordello has earned itself the title of “most awarded bar in Romania”. The prizes are a result of the constant quality of services, original offers, investments, communication and development. What started as a 1 room pub has transformed itself into a true entertainment venue, divided into 3 different yet complementary sides. The Ground floor is home to the Pub, with a seated capacity of 60 and 40 standing. It is the social, friendly and lively side of Bordello, a place to spend an afternoon with friends over a cup of coffee or a late evening for some pints, great tapas food and live music. 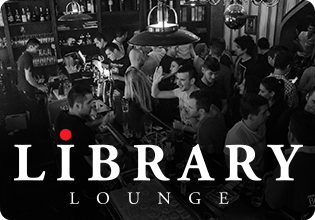 The Library Bar, the private side of Bordello is located at the first floor. It resembles the late 30’s Speak Easy Bars from New York. It can host up to 70 people seated and standing, and it’s atmosphere invites guests to a relaxing experience with a glass of brandy, a classic cocktail or a single malt whiskey. Last but not least, the Mulanruj Dining Theatre, the exuberant and joyful side of Bordello. Located close to the Library Bar at the first floor, in Alexandru Cuza’s old throne room, Mularuj inspires its guests to unique experience. From the design to the events everything is meant to say Joie de Vivre. 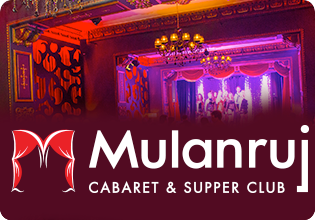 Cabaret, magic, acrobatics, theatre, dance, music and fine dining all of it can be found in only one place.